Some weddings - single-day events - cost between 20m/- and 50m/-, amounts that some people say are unnecessarily high when simple, low-cost receptions could suffice to confirm a couple's love for one another." I know I'm late weighing in on this post (I just found your site recently - love it, btw! 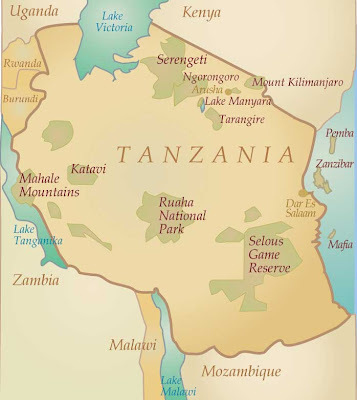 ), but I have to comment that this is not unique to Tanzania. As an international health specialist, I lived in Uganda for a year, and attended about a dozen weddings of my local colleagues'. The same mentality prevails there as well - people are spending *far* more money on these events than they have, often at the expense of many of the basic necessities for themselves and their current/future families (including health care, primary education, transportation to get to/from a job). However, I'd like to add another perspective on this too: it's not a coincidence that East Africans are spending extravagant amounts on their weddings like Americans do. In fact, I'd argue that it's largely *because* Americans do. I don't want to make a blanket stereotype of East African culture (this is not the venue to delve into that kind of thing), but I will say there is a *lot* of superficial parroting of American culture, especially in terms of wedding culture. I have witnessed a number of beautiful black brides who have purchased cake toppers with...a white bride and groom on top. Wedding cards often feature white brides and grooms (not to mention the Baby cards with white babies, and all of the white baby dolls in the toy isle). It's saddening. This is the result of a society being deeply impoverished without much sense of how to make things better than to parrot the rich Americans/Britons. I'm rambling :o) But my point is that I think all of us should take a long hard look at the message that we're sending not only to our own societies but to others around the world when we plan weddings that are reflect something other than a loving union between two people.